Your privacy is very important to us, and we encourage you to read this policy carefully. MCRRC sometimes works with third parties by, for example, providing operational support for races. This policy does not apply to information that you submit to such third parties, including by registering for races that are operated and run by those third parties. In addition, we may refer you to third parties that may collect personal information from you. Personal information collected directly by these third parties also is not covered by this policy. We may collect personal information that you submit to us through the services, including contact information, such as name, date of birth, address, email address, or telephone number; information related to your interest in particular races or activities; and any other information that you submit to us electronically or offline through race registration, volunteer registration, club membership, or other forms of enrollment. We also may collect photographs and videos of participants in and spectators of our races, events, and other activities. When you access the services through a computer or mobile device, we also may collect some information automatically, including information about your activity on our websites and mobile services, device identifiers, information about your web browser software and version, information about your mobile device carrier and type, location information, and, if you arrived at our websites via a link from a third-party website, the URL of the linking page. We also may use standard Internet technologies, such as cookies, web beacons, and other technologies to collect information about your activities on our websites. Most browsers automatically accept cookies, but you usually can modify your browser setting to decline cookies. We may combine your personal information with other information in our records, including information that we have obtained about you from other sources. memberships, and volunteer registrations; responding to your requests for information; developing new products and services that we think may be of interest to you; marketing our products and services; communicating with you by e-mail, postal mail, and/or telephone; and performing other functions as described to you at the time of collection or pursuant to your consent. Service Providers. We may share personal information with organizations or individuals that perform functions on our behalf. For example, service providers may process payments for our races or may store and process data on our behalf. These service providers are granted access to your personal information for the purpose of performing their functions for MCRRC. Race Results & Posted Information. 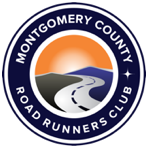 We may publicize through our website or through other means information about your performance in MCRRC races and other events, including, for example, your name, age, gender, and hometown and your race result information. In addition, we may post to our website photographs and videos of participants in and spectators of MCRRC races, events, and other activities. Marketing. We may share your personal information with select companies whose products and services we believe you may find of interest. Legal Matters. We may share your personal information in response to a subpoena or similar investigative demand, a court order, a request for cooperation from a law enforcement or other government agency, or as otherwise required by law; to persons acting in a fiduciary or representative capacity on your behalf; to defend against legal claims; to investigate, prevent, or take other action regarding illegal activity, suspected fraud, suspected violations of terms and conditions associated with any of our products or services, or other wrongdoing; or to protect and defend the rights, property or safety of our company, our users, our employees, or others. Aggregate Data. We may combine your personal information with that of others and share such data with third parties in aggregate form. When we do this, we do not intend to share personal information that can be associated with a specific individual. Other Purposes. We may share personal information as otherwise described to you at the point of collection or pursuant to your consent. We use commercially reasonable security measures (including physical, electronic and procedural measures) to help safeguard personal information from unauthorized access and disclosure. However, no system for transmitting or storing information electronically can be completely secure. Therefore, we cannot guarantee that personal information or other communications will always remain secure. We do not knowingly collect personal information from children under the age of 13. Any child under 18 who participates in our race events or other activities must be registered by a parent or guardian. In addition, if you are the parent or guardian of a child under the age of  whose photograph has been posted to our website and you would like it removed, please contact office@mcrrc.org. Our services are provided by servers located in the United States, and residents of other countries visiting this site consent to the application of United States law to their use of the services. If you have any questions about this policy or our personal information-handling practices, please contact the Executive Director at office@mcrrc.org.